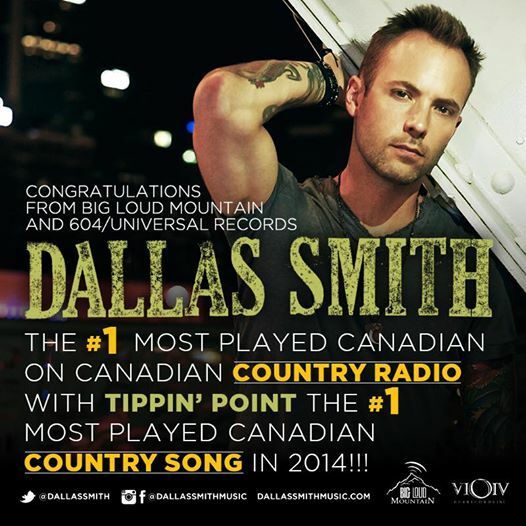 Congratulations to Dallas Smith on being the most played Canadian artist on Canadian country radio in 2014! His hit single “Tippin’ Point” is also the most played Canadian Country song of 2014! It’s been a pretty awesome year, way to go Dallas.